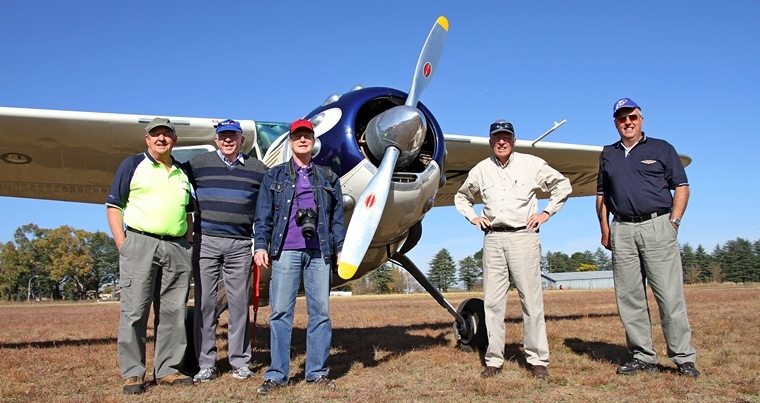 Eighteen months ago in November 2013 the Bethlehem Aero Club was formed. On Saturday 16 May 2015 the Club celebrated the inauguration of its EAA Chapter. 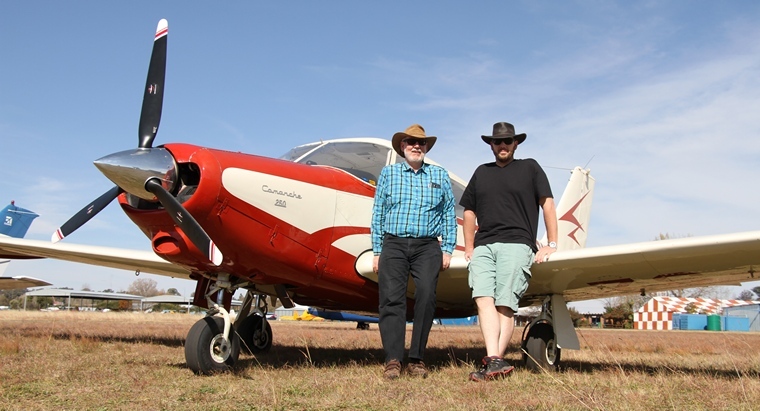 Bethlehem, Chapter 1500, is now the 11th Chapter of the Experimental Aircraft Association of South Africa, nine of which nine are active. 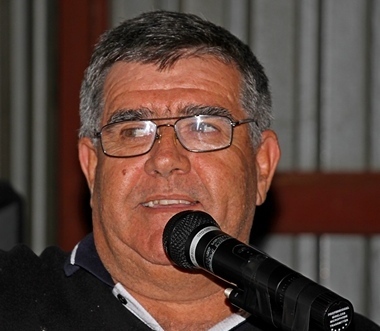 Bethlehem is now the third Free State chapter joining its sister chapters at Kroonstad and Bloemfontein. 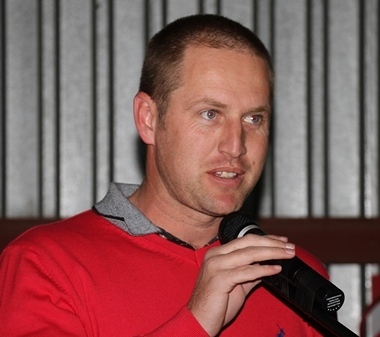 The driving force behind the formation of Chapter 1500 was Francois Marais who was elected Chairman of the Chapter. 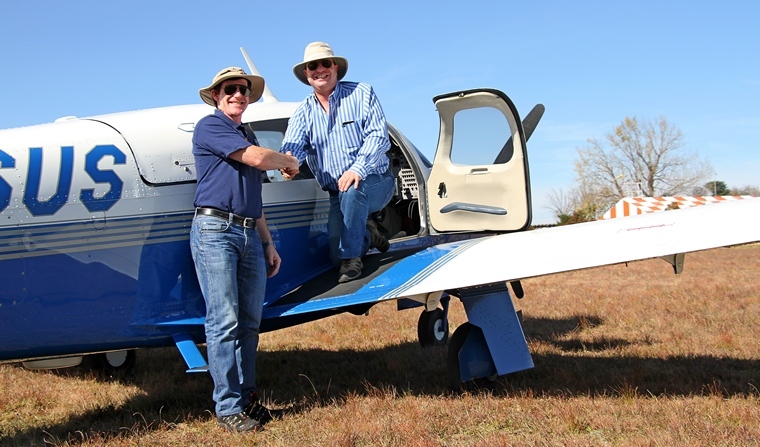 Francois was assisted by Karl Jensen Chairman of Chapter 322 (the oldest EAA Chapter in the country), Mike Brown the Chairman on the Young Eagles initiative and Paul Lastrucci, National President of the EAA of SA. The inauguration of the Chapter was a lavish dinner prepared by the lady members of the Club and set to take place Saturday evening in the Hangar of Philip Jacobs, Chairman of the Bethlehem Aero Club. An informal braai was organised for those who opted to arrive on the Friday. 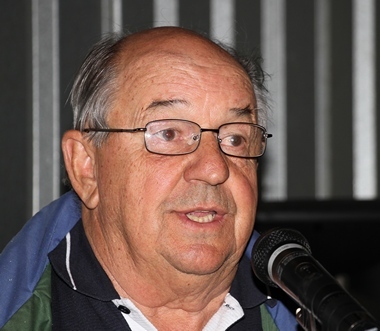 Mike Brown and Clive King who because of work commitment were unable to attend the Saturday function but none the less flew down on Friday spending the evening with club members in the Club's recently renovated Clubhouse. They stayed over leaving for Gauteng Saturday morning. They were the only early arrivals the rest of the attendees arriving on Saturday morning. Trixie, Nico & Irene by Nic's Maule. It was a perfect day for flying with clear skies and little wind and there was a steady stream of arrivals throughout the morning. Karl with Archie, Stephen, Brian and Ricardo by Archie's Cessna 190, one of only two in the country. 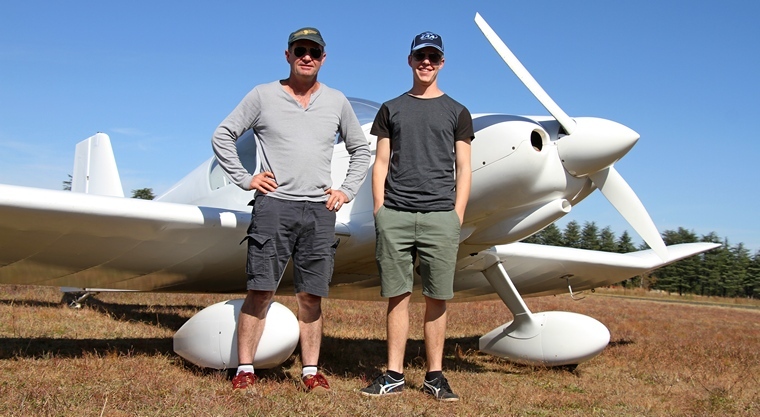 Father and son Jeremy and William arrived in their Comanche en-route from Pietermaritzburg. Transport was laid on for those that wanted to go to Clarens and other places of interest and most of the visitors made use of this generous offer. Those that remained relaxed in the sun and swapped stories whilst the free coffee and rusks or other liquid refreshment available in the Clubhouse. 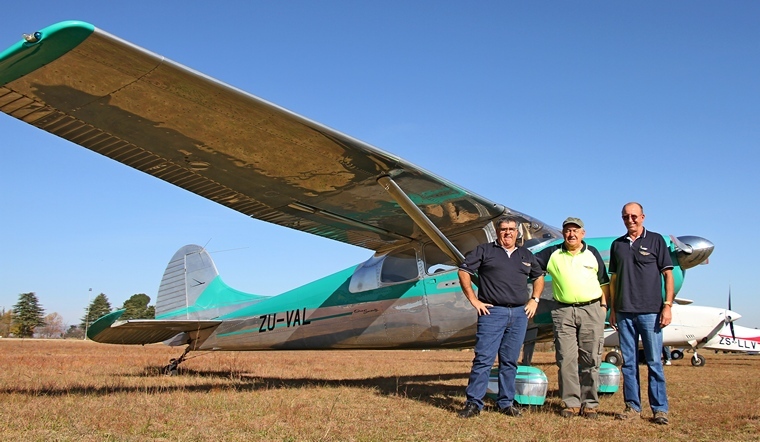 Some were treated by flights over the Maluti Mountains by club members. Airfield as a hub able to create employment and as an economic driver that will contribute to the welfare of the community. 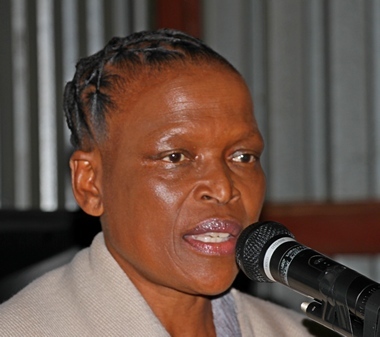 She thanked the club for the role it is playing in the development of the airfield. 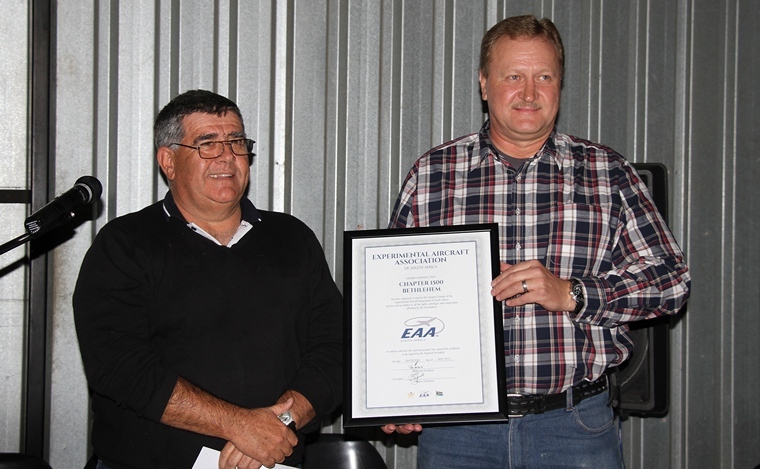 Paul Lastrucci then took to the podium outlining the vision of the EAA and the Aero Club of South Africa before handing over the Chapter's inauguration certificate to Francois Marais. Karl Jensen then took the stage to regale the audience as only Karl can before the 58 guests tucked into a delicious buffet. 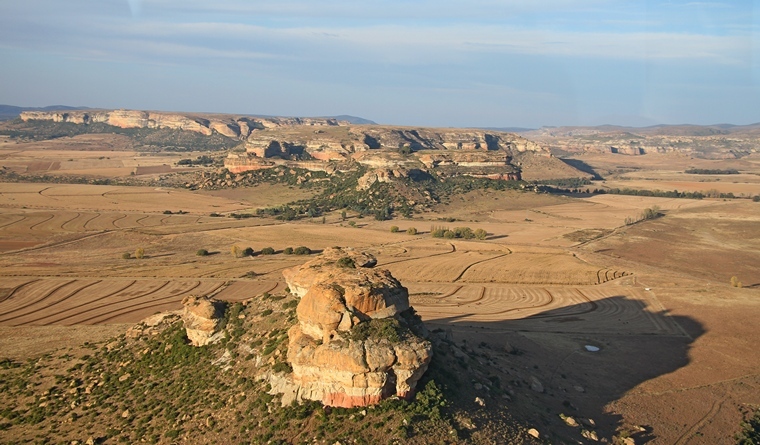 In typical Eastern Free State hospitality the festivities carried on until late before the guests retired to their various guests houses resting for the flight back on Sunday morning. 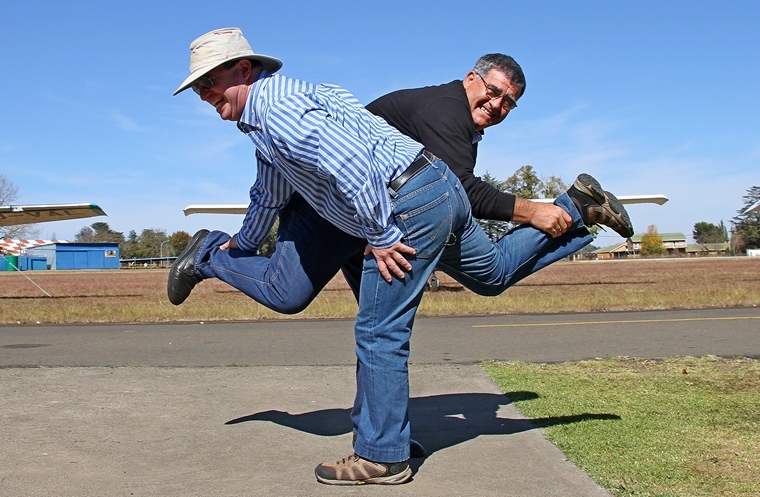 The Bethlehem Airshow will be held on the 15 August and the club will host a fun navigation rally on 29 August and the club is already planning a number of events for 2016. To experience Eastern Free Sate hospitality a visit one of the club's events is a must.